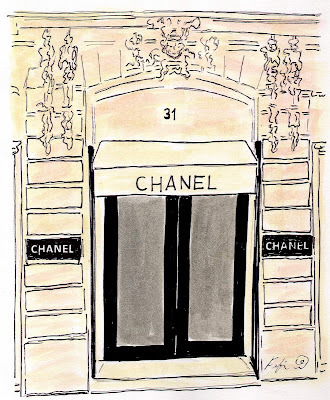 rue Cambon, ahh...take us there PLEASE, Fifi!! As usual you always come up with excellent drawings. Virtual Paris: any Paris will do! Rue Cambon, here I come! Actually, I think that the Paris that I see on your paintings is much better then real one... Only the charming part, it is a beautiful world! I'm ready to go! What time shall we meet? Yes, I want to go, too! Ooo, so chic! Ohh la la that's cute! It may be my favorite painting of yours yet, but who could choose!? You're pics are charmingly beautiful! REally! I love them! I've just stumbled upon your blog, and I wanted to say Wow! Your illustrations are gorgeous! Did you study illustration? How have you developed your style?